Plus some classic Belgian beers! A few years back we went Mezcal crazy with a bunch of tastings to help educate people about Mezcal. This year is the year of the Vermouth for The Wine and Cheese Place. Why, because we want to! 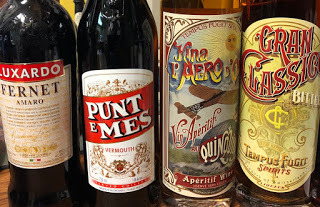 We are excited about Vermouth and have an amazing selection and want to share it with you. Vermouth is not just an afterthought in a Martini. Vermouth can be the STAR of your summer drink. If you have a good bottle of Vermouth, just pour it on the rocks with some club soda and an orange slice and you will be surprised how refreshing this drink is!